Ten years after planting the first seed of Purple Hexagon Records, Label Manager Kikx celebrates the growth of this project with a compilation containing the pure essence of the LabelвЂ™s sounds. 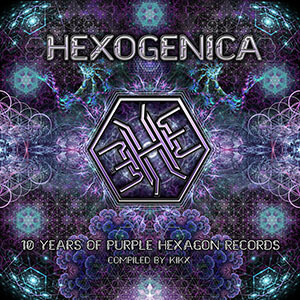 Freshly and personally selected by Kikx, Hexogenica is a collection of tracks produced by the Purple HexagonвЂ™s producers team which reflects the backbone of the Purple Hexagon soul: pumping and groovy, deep and psychedelic !! Celebrate the anniversary with us by listening and dancing to the labelвЂ™s best tracks!! To ten years together on the dancefloor and to many more years to come!